Condos offer a great way to own a home in a desirable community while staying within your budget. Typically, between a condo and a single-family home with comparable sizes and in comparable neighborhoods, the price of the condo would be significantly lower. This is not the only factor that makes a condo desirable. More and more homebuyers in communities like Bayfield, Washburn, and South Shore are choosing condos because of the convenience and security they provide. The most common condominium types are multi-story buildings with several units that share at least one wall and common areas like the hallway and the grounds. Unit owners have total ownership of the area within their unit’s walls, while anything outside these walls is jointly owned by all unit owners. It’s important to be clear on what constitutes as your sole property and what makes up jointly owned areas. As with single-family homes, condos come in a wide range of prices. Before looking for a property, it helps to first get mortgage pre-approval. This will give you an idea on how much mortgage you will likely qualify for, which you can use in setting your budget. You can then narrow your search to condos for sale that are within your budget. Condo associations or HOAs set the rules and policies in the neighborhood, including the number and type of pets you can own, the type of renovations you can make to your home, if you can park an RV, and other details. Look into these policies before purchasing a property and see if you can conform to them. Additionally, you will need to pay a regular HOA fee, which goes to the upkeep of the community. Consider how this will affect your monthly expenses and budget before finalizing the purchase. Part of the monthly HOA fees goes to a reserve fund, which is earmarked for major repairs or improvements. If the cash reserves are too low, this could mean that, at some point, condo owners may be charged with a special assessment fee to finance a costly project. Look into a condo’s cash reserves and the delinquency rate of unit owners in paying association fees. Additionally, check if there’s any upcoming special assessment and for how much. With all the details that come with buying a condo, it’s important to work with a professional who can give you expert guidance. 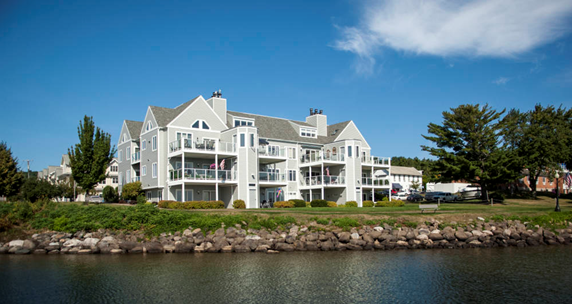 The Windseeker Realty LLC Team are the Realtors to call if you’re thinking of buying a condo in Wisconsin communities like Bayfield, Washburn, and South Shore. Get in touch with Windseeker Realty LLC today and learn about your options. You can also call (715)779-5000.